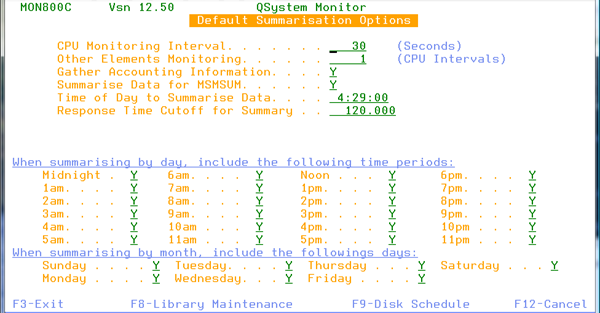 The heart of QSystem Monitor is the Online Monitor which is fully configurable to allow “groups” and “definitions” to be created and displayed however you wish. 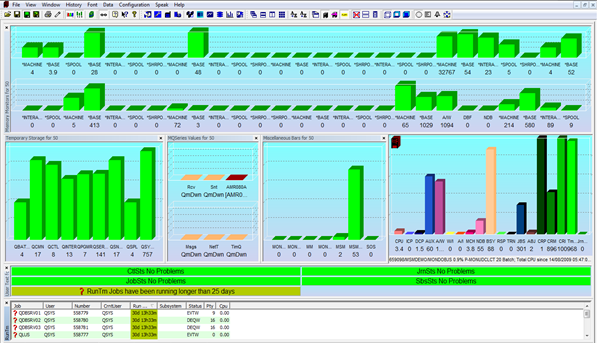 There are also Map and Systems Group views, depending upon the number of systems that you have configured, to allow views other than a simple system view to be created. 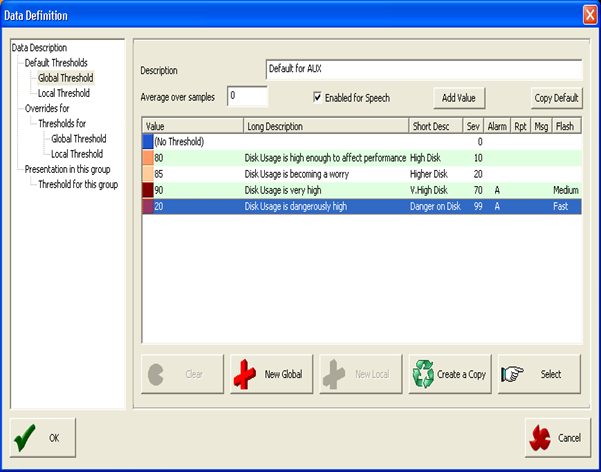 The module comes supplied with a number of built-in definitions. 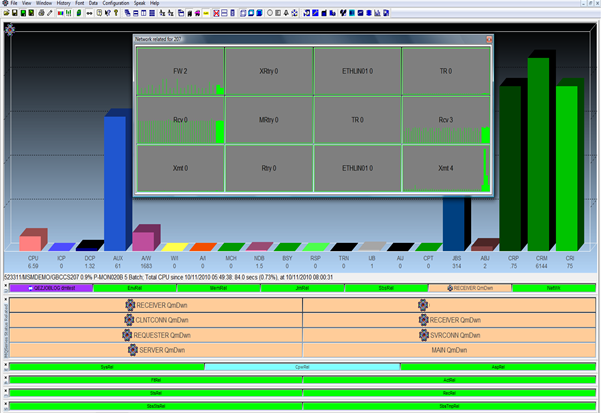 Additional monitors designed for your network are very easy to incorporate via a set of template definitions. 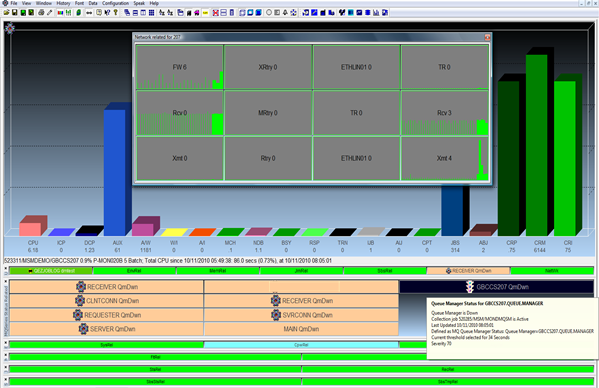 The screen above shows a mixture of Memory Pool, Temporary Storage, MQ Series, Job Run Time and standard performance monitors. The creation of an example element will be covered on later pages. 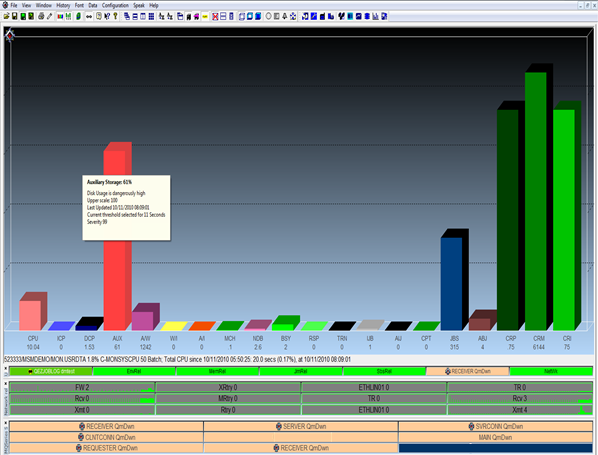 The Short Term History is displayed by double-clicking any element displayed in the Online Monitor and can be used to quickly identify jobs that may be causing peaks to occur. 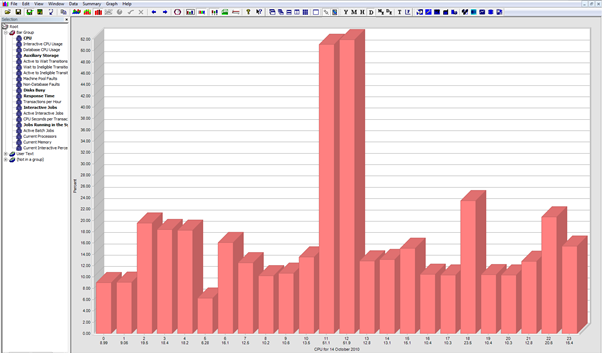 Double-click a peak to launch the HI CPU Jobs view, from which the Work with Job function can be launched. 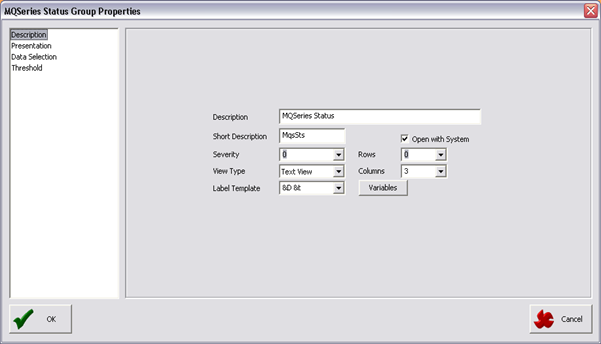 The following section shows how to create a new bar to monitor for the status of an MQSeries Queue Manager, starting from a standard system view. We will be working within the MQSeries Status Related group which currently has eight orange status bars, highlighting various possible problems, in the picture above. 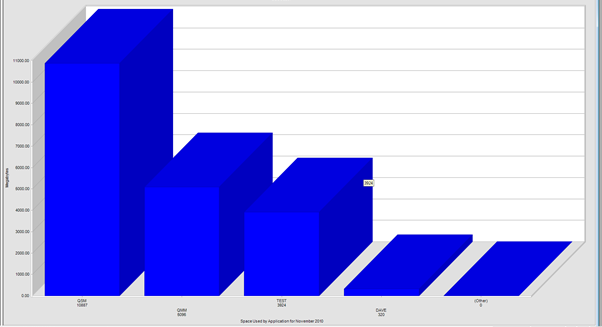 Select the Data Selection option from the left hand-side navigation panel, which opens a new panel to allow the selection or creation of data definitions. This is achieved by creating or using an existing definition. If one does not exist under Available items (center panel), use the large Add button to create one. 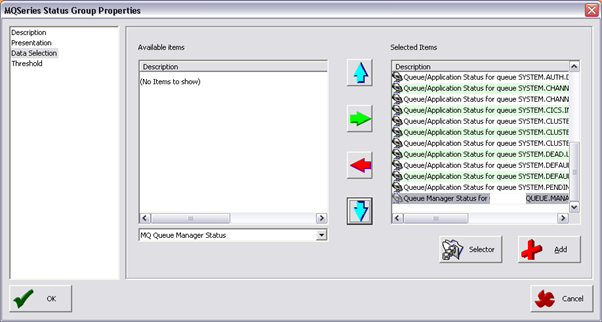 From the following window use the Data Type drop-down list to select the MQ Queue Manager Status definition. 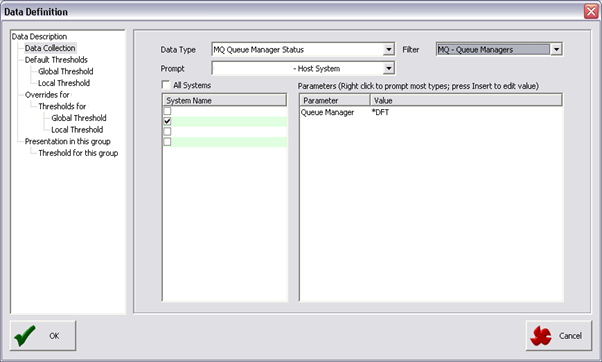 Right-click the Queue Manager parameter to provide a context menu of options from your system. Select the desired entry and then click OK. Note the new option at the bottom of the Selected Items list on the right. Click OK again to return to the monitor. 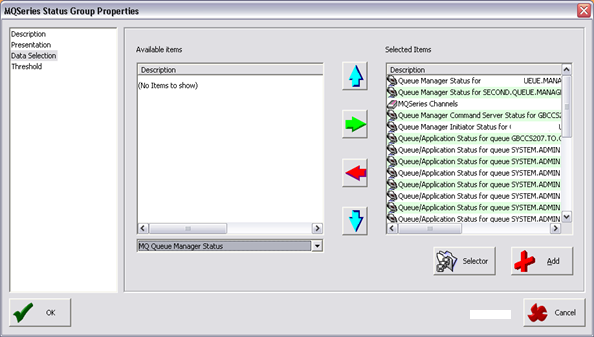 A new column has now been added to the group providing the status of the Queue Manager. Hover over the item with your mouse for details. This section will cover changing Global Thresholds. A review of the help text or product manual is advised for a detailed overview of this subject. 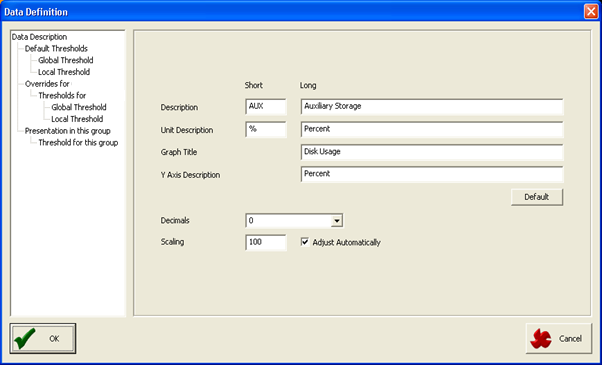 This example will change the Auxiliary Storage definition. Right-click the AUX bar and select Change AUX Properties from the context menu. 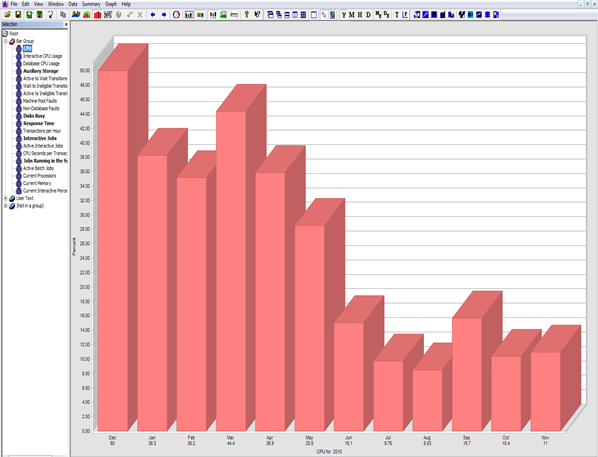 To change an entry to ensure that you raise an alarm, change the maximum value of the 95 threshold to a very small number, for example, 20. Then click OK.
Now, click OK again to return to the Online Monitor. Now you can see that the AUX bar is red (and it will be flashing) and the alarm icon is displayed at the top left-hand side of the window. 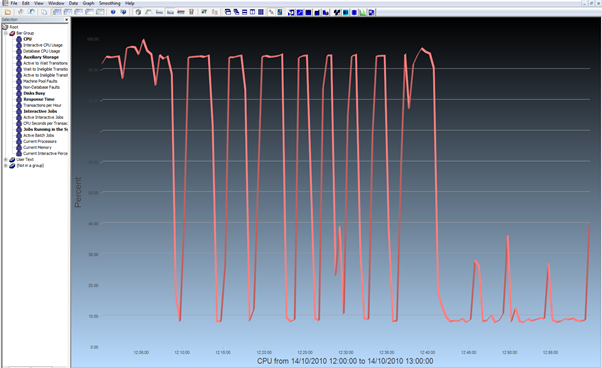 You will need to change the 20 back to 95 afterwards to reset the threshold. To verify whether the data collection jobs, which collect the data used in the historical reporting modules, have been configured perform the following steps. From the MSM menu (GO MSM) select option 1, Monitor: Configuration. 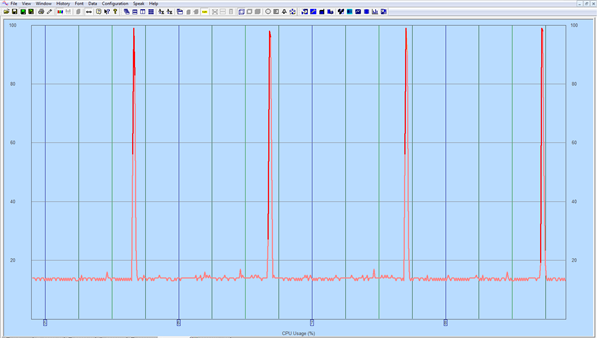 The important items are the fourth line down, Summarise Data for MSMSUM, this should contain Y; and the fifth line down, Time of Day to Summarise Data, which should contain a valid time. 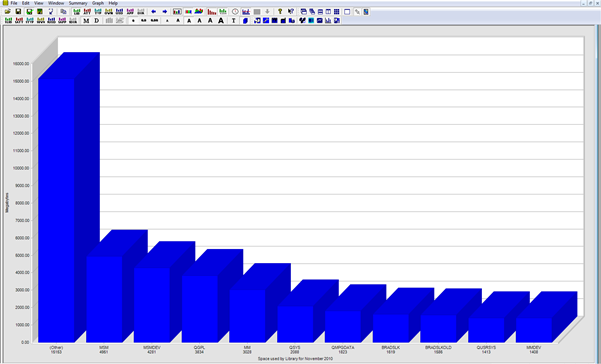 Finally, there must be at least one hour and one day selected in the lower sections with a value of Y. Press Enter until you return to the main menu. 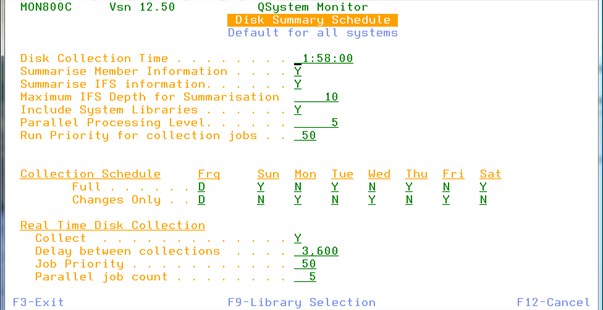 Then press F8, Defaults, then F9, Summarisation, then F9, Disk Schedule, to display the following screen. The important item is the first line, Disk Collection Time, which should contain a valid time. 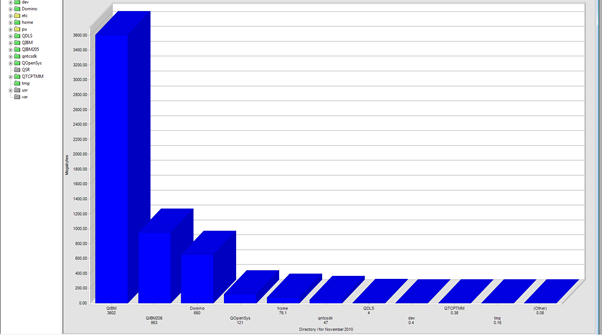 There must be at least one day in the lower section with a value of Y. The History Summary module is used to display historical time periods, where the detailed data has been summarized into months and days. 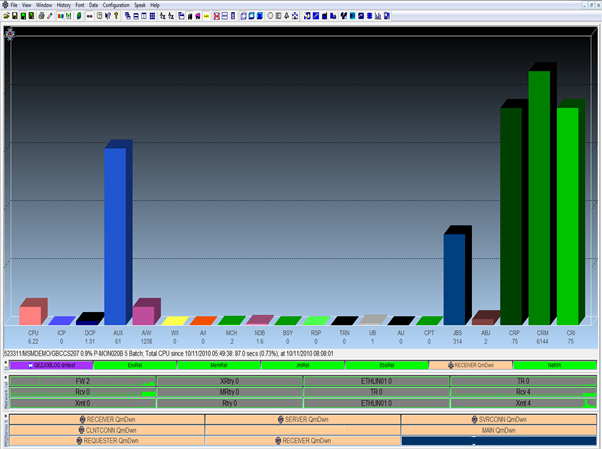 There are Yearly, Monthly, Daily, Hourly, Month by Element, and Day by Element views. Definitions can be selected from the left hand-side navigation panel, and the “by Element” views allow multiple definitions to be shown side-by-side. 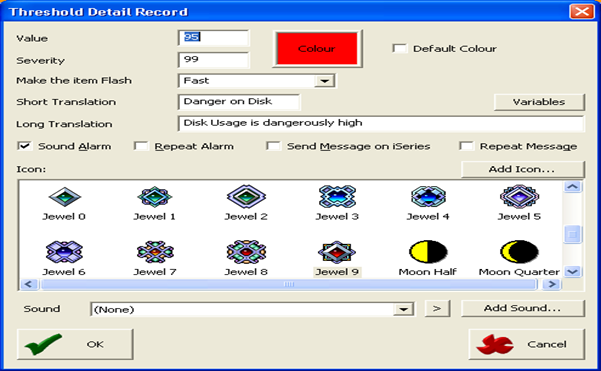 Right-click a peak and launch the Detailed History module to investigate. 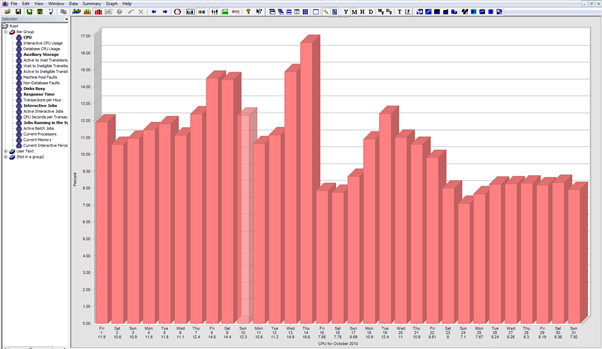 Double-click a peak to launch the HI CPU Jobs view (in this example the system is running above 90% across the period). 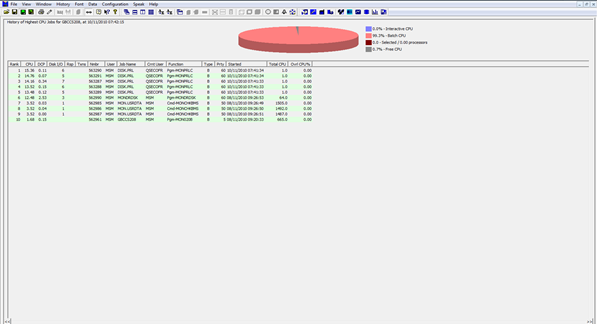 The Disk Summary module initially displays the library view, but the data can also be displayed by Application, Attribute, Object Type, or Object Owner. 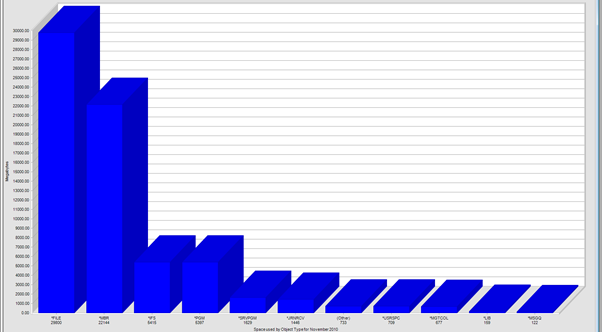 Then, there is the IFS view. 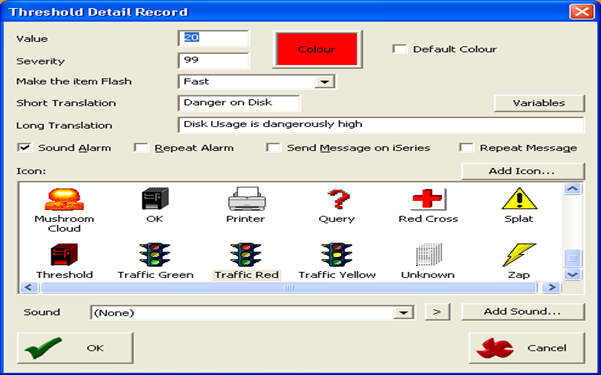 It can be displayed by size or it can also be displayed by Attribute, Object Type, or Object Owner.